The paintings of John Brosio feel incredibly cinematic, as if each is a still from a contemporary horror film paused at a striking moment of tension. Brosio paints enlarged birds, crabs, and Big Gulp containers poised against the American suburban sprawl. The animals and objects hover over fast food chains and car repair shops, looking as if they might strike what lies below at any moment, or simply continue their crusade in an alternate direction. 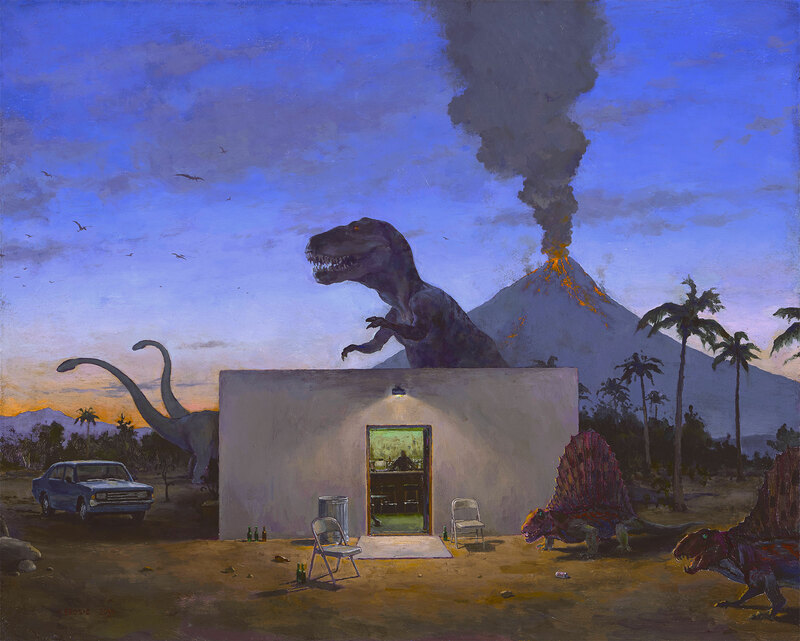 A humor creeps into the paintings when we remember the actual issues our contemporary society and climate face—if presented with the option would we rather choose invasion by iguana?